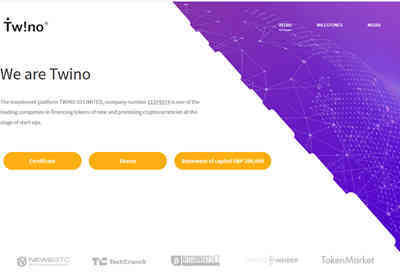 The investment platform TWINO IO LIMITED, company number 11374374 is one of the leading companies in financing tokens of new and promising cryptocurrencies at the stage of start-ups. Important information to all investors. Signing up your account, for example in USD version, the system will automatically synchronize database and create also on all other versions BTC, ETH, LTC or otherwise and you can switch your monetary account in your personal cabinet and make investments with currency you want without any conversations.